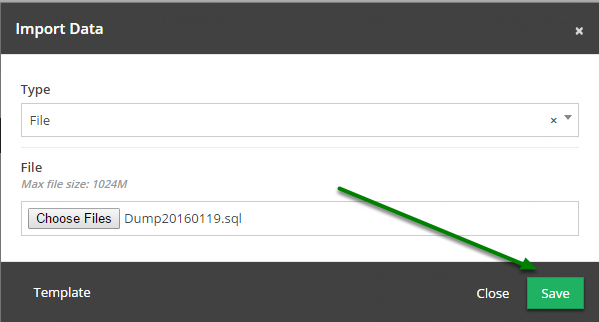 Documentation and SupportReleases Wasabi Release Notes 2016-01-20Import Data now supports SQL dump files. 1. 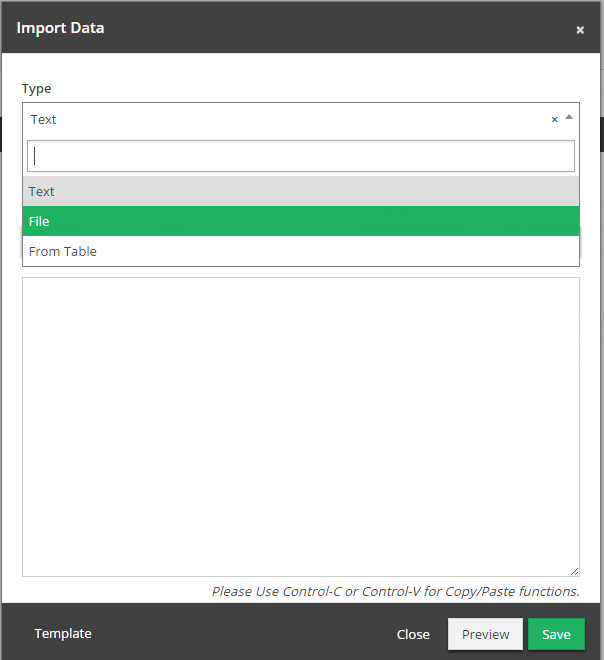 Select 'Import Data' from the 'Tools' sandwich to open the Import Data modal. 2. 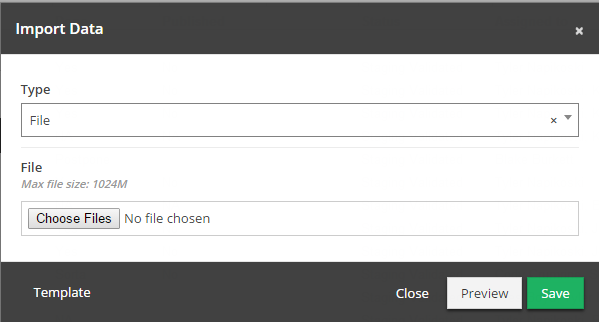 Select 'File' from the 'Type' drop down. 3. Click 'Choose Files' and select your dump file. Note that your file must have an extension of .sql to be recognized as a sql dump file. You will receive a notice that the file was imported successfully upon completion. 5. 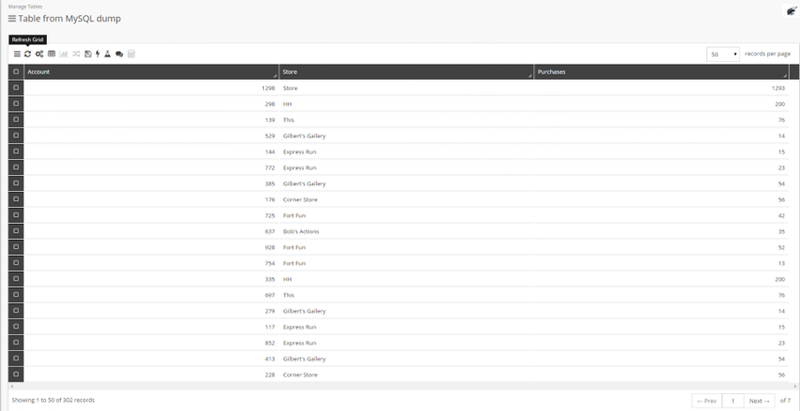 Click 'Refresh Grid' to see changes. 6. All data has been imported successfully. Zoom: All data has been imported successfully. 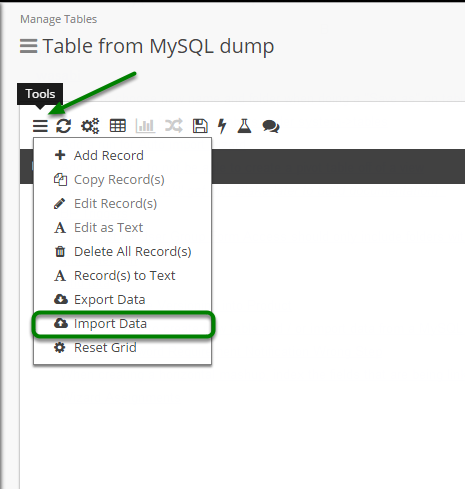 Prev: Create table from Import now supports SQL dump files. Next: Bit.Ly Connections Now Standard.